Does your water heater no longer work as efficiently as it once did? From sediment build up to everyday wear and tear, a variety of factors can cause your tank water heater to produce less hot water, use more energy or simply not work at all. In some cases, lack of maintenance can even result in cloudy, less clean water caused due to sediment building up inside your water heater. Regular maintenance can keep your tank water heater working efficiently, delivering a reliable stream of hot water when you need it. We offer both maintenance and repair services for a tank and tankless water heaters in all sizes, whether installed in residential or commercial settings. Like all appliances, water heaters need to be maintained and cared for in order to work at their best. 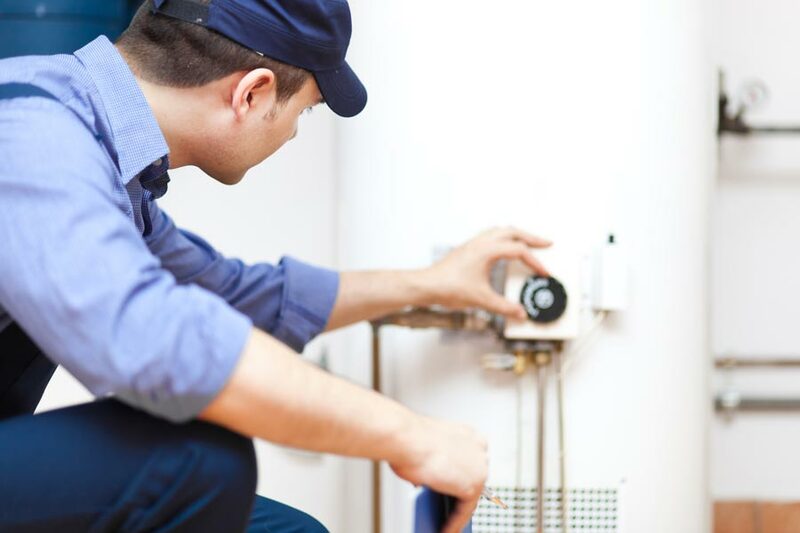 For most tank-based water heaters, it’s best to perform regular maintenance every three months to keep the heater and its connections in optimal condition. Your water heater is overly noisy, with unusual noises such as rumbling or bubbling coming from the tank. This is often a sign that sediment is building up inside the tank, causing water to bubble and push the sentiment into the walls of the tank heater. Sediment can reduce the quality of your hot water and cause wear on your tank, making it important to call an expert plumber to drain excess sediment from your water heater. Your water heater is leaking water. This can be caused by structural damage to the tank itself (potentially caused by lack of maintenance or sediment buildup) or as a result of leaks developing in the pipes connecting your heater to the water supply. Your water heater is corroded and leaking water or releasing water that isn’t as clean as it should be. This is common in states like California, where the local water is “hard” and stressful on the materials used to build water tanks. In many of the above cases, regular maintenance or a quick repair could be all it takes to bring your water heater bank to working condition. However, for more severe damage, you may need to replace your existing tank-based water heater with a new model. If your tank-based water heater is starting to show signs of its age, it’s often more cost effective to upgrade to a tankless heater than to install a typical replacement. Tankless water heaters offer hot water on demand, without needing to store hot water inside a tank like a traditional water heater. Because of this, they’re less expensive to run and far more energy efficient than conventional water heaters. Our team can recommend the best option for you based on the condition of your existing water heater, your needs, and your budget. For fast Fountain Valley plumbing services, just give us a call today at (714) 787-7313! You can rest easy knowing that your plumbing services are of the highest quality.